The University of Stirling’s Highlands and Islands Graduation ceremony will see almost 90 graduands receive their degrees today. 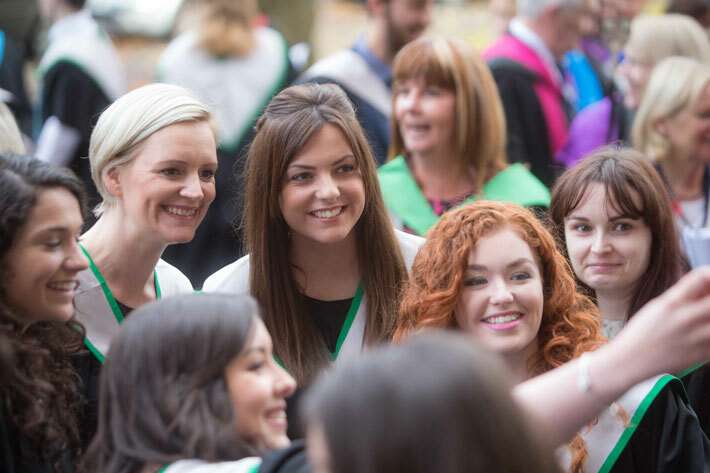 Graduands of the School of Health Sciences, who have studied at the University’s campuses in Inverness and Stornoway, will be recognised at the ceremony in Inverness Cathedral. Qualifications being conferred include degrees in Nursing as well as specialist postgraduate programmes in Health and Wellbeing of the Older Person and Mental Health. There are also a number of graduands from the University’s Schools of Education and Applied Social Science. Among the Nursing cohort will be award-winners Lynn Clinton and Verena MacLeod. Lynn, from Stornoway, spent 10 years in the airline industry before combining motherhood with her nursing studies at the Western Isles Campus. She receives a BSc in Nursing with distinction and a research-based learning prize for her work with the Western Isles Hospital’s acute assessment unit. Inverness-based Verena MacLeod studied to be a lawyer then moved into nursing studies at the University’s Highland Campus in the city, inspired by becoming a mother of three. She graduates with a BSc in Nursing and is the recipient of the RG Bomont Award for Excellence in Clinical Practice. Stirling Nursing students benefit from the close partnership working with local NHS Boards and students spend 50 percent of their time in a clinical setting. A quality improvement module sees students work closely with clinical staff to develop working practices and patient care. Health Sciences research at the University of Stirling was ranked the best in Scotland for its impact according to the recent Research Excellence Framework, whilst its Nursing degrees are regularly recognised by Student Nursing Times. Professor Gerry McCormac, Principal and Vice-Chancellor of the University of Stirling said: “Many congratulations to all of our students graduating in Inverness at the University of Stirling’s Highlands and Islands Graduation ceremony. The Highlands and Islands Graduation ceremony takes place at 12pm on Friday 6 November at Inverness Cathedral (postcode IV3 5NR) with the reception at the Centre for Health Science (postcode IV2 3JH), from 1.30pm - 3pm. Case studies of graduands Lynn Clinton and Verena MacLeod will be issued later this week with photographs provided on the afternoon of Friday 6 November. Photographs from the ceremonies and reception will be issued around 4pm on Friday 6 November. Media enquiries to communications@stir.ac.uk or call 01786 466 653.